Several of our prior blog posts have dealt with defending foreclosure actions for real property. However, in New York State, and especially in New York City, many apartments are held as shares in a cooperative corporation, also known as “coops”. Rather than owning real property, coop owners own shares in a corporation which have been allocated to their apartment within a particular building. As a result, legally, owners of a coop apartment do not own real property, but instead, they own shares. This legal distinction makes a difference when an owner defaults on his share loan. Because coops are not real property, they fall into a category called “non-judicial foreclosures.” This means that unlike a foreclosure against real property, foreclosure actions against coop shares are not brought by commencing a lawsuit in the Supreme Court, or in any Court. Instead, the foreclosing lender will issue a series of legal default notices, and, if the default is not cured, it will then hold a public auction of the coop shares belonging to the defaulting shareholder. Because lenders hold the shares in escrow when they make a loan against the apartment, they have the ability to auction these shares when the shareholder defaults in his loan obligation. The original share certificate is kept by the lender and not returned to the shareholder until the loan is paid in full. Our firm has encountered situations where a shareholder has defaulted on his loan, but there is sufficient equity in the resale value of the apartment to pay off the loan in full through the sale of the apartment. We recommend that any shareholder in default who is attempting to sell his apartment contact experienced counsel to discuss their options. There may be situations where there is a public auction sale of the shares scheduled, but the shareholder is in contract to sell the property, and the proceeds will be sufficient to pay off their share loan in full. What should be done to ensure that the sale goes forward? First, counsel should contact the attorneys representing the foreclosing lender, and request that the scheduled public auction sale be adjourned to allow the sale to proceed. The lender may request a copy of the fully executed Contract of Sale, as well as a copy of the downpayment check and proof that the downpayment has been deposited into an attorney trust account. Most lenders will then agree to postpone the auction sale at this point to allow the contracted sale to proceed, which will result in the loan being paid in full, together with any of the lender’s costs and attorneys’ fees. If the lender does not agree to postpone the auction sale, then experienced litigation counsel should immediately file an action in Supreme Court of the county in which the coop is located against the lender. 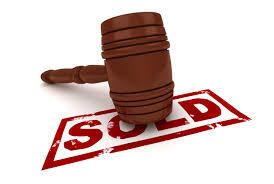 If the public auction is imminent, the action should request that the Court issue a temporary restraining order forthwith staying the auction until the contracted sale can be completed. Of course, the action must include proof that there is a valid Contract of Sale, and that the proceeds from said sale will be sufficient to pay off all outstanding share loans. If the proper legal requirements are met, then a temporary restraining order will be issued so that the sale can proceed and the auction will be unnecessary. Our firm has attorneys who have extensive experience handling both the litigation and transaction work as necessary in the situations described in this post, and looks forward to your inquiries.